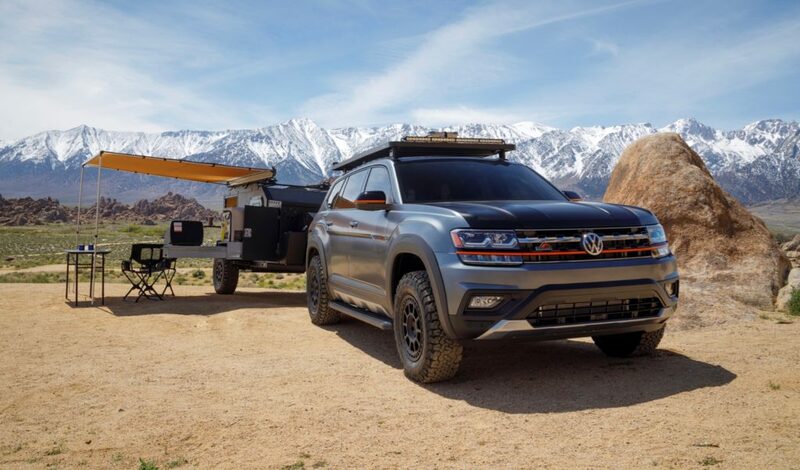 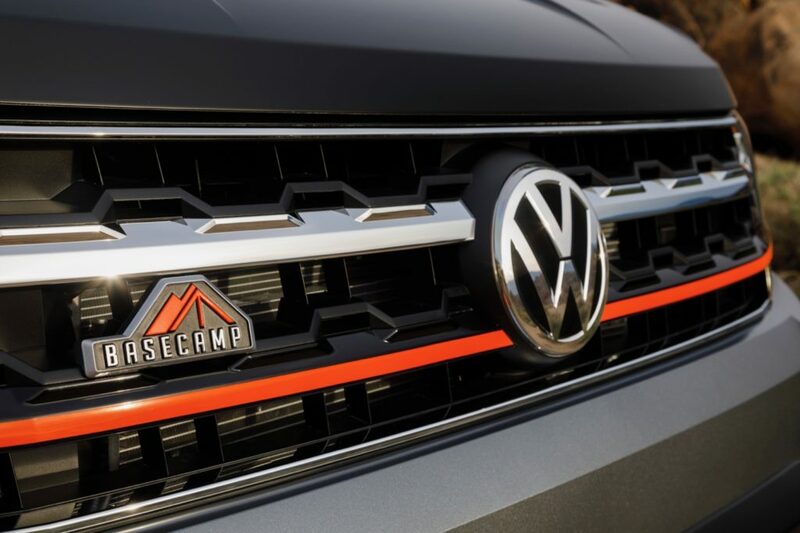 VW has unveiled the Atlas Basecamp concept, which is equipped with a long list of custom accessories, which makes it the ultimate SUV for trail seekers. 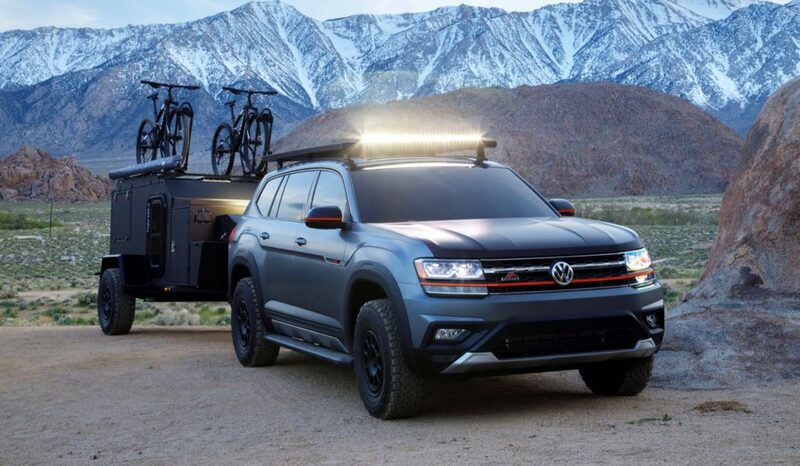 The VW Atlas Basecamp concept has been designed for fans of endurance mountain biking. 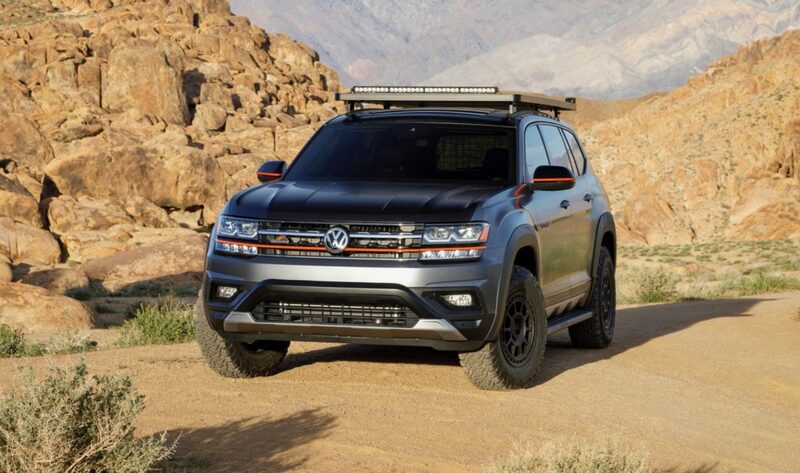 To create the concept, VW started with the Atlas SEL Premium model. 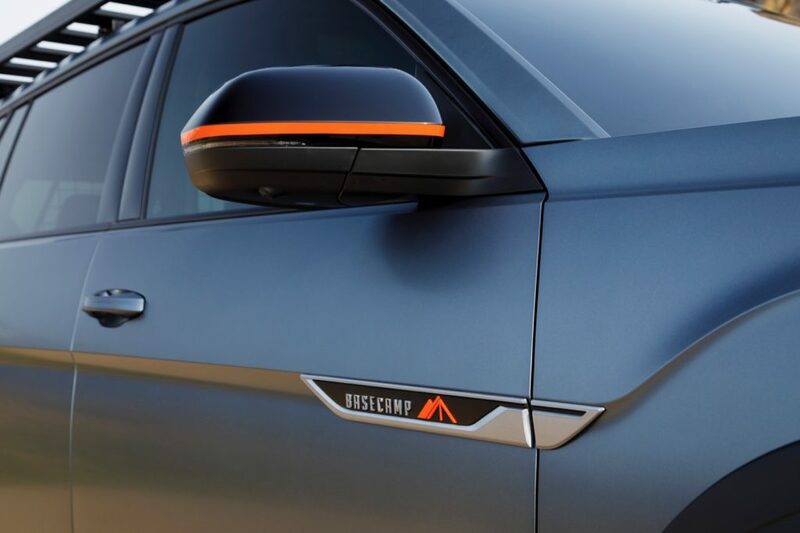 It’s painted in Platinum Gray and Black Uni with a matte finish and orange accents. 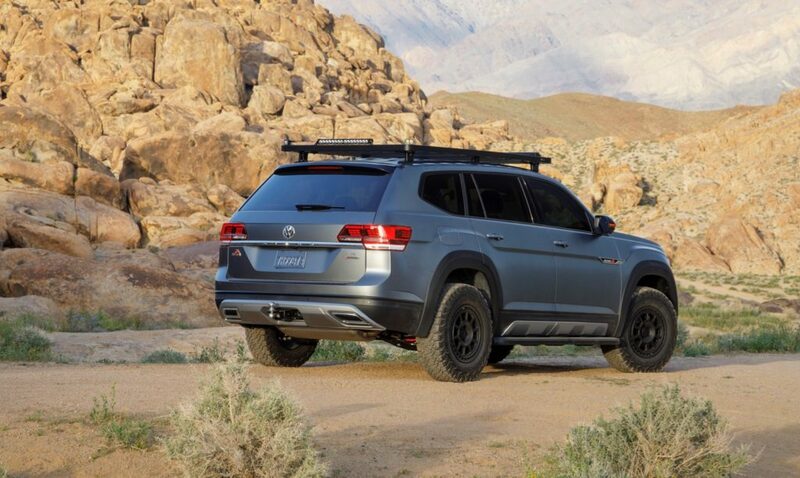 The concept rides 1.5-inches higher thank to an H&R lift kit and on the outside it looks more aggressive thanks to a custom body kit from Air Design. 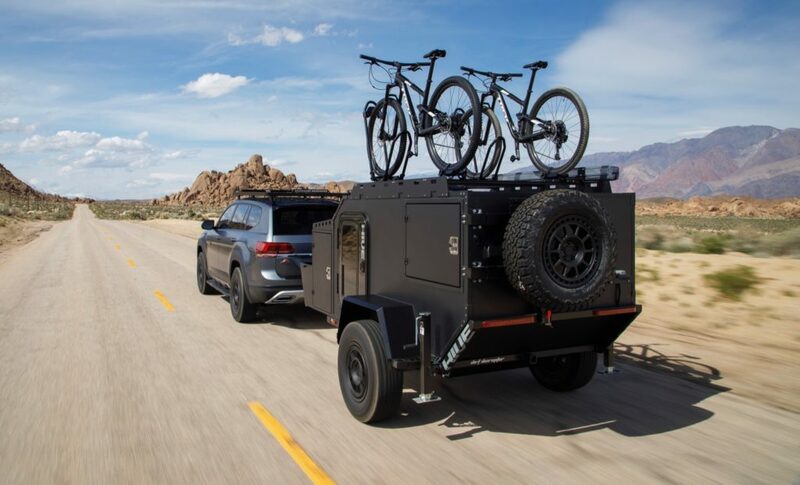 A Front Runner Slimline II roof rack system with bike holders and off-road LED light bars on the front and rear have also been added. 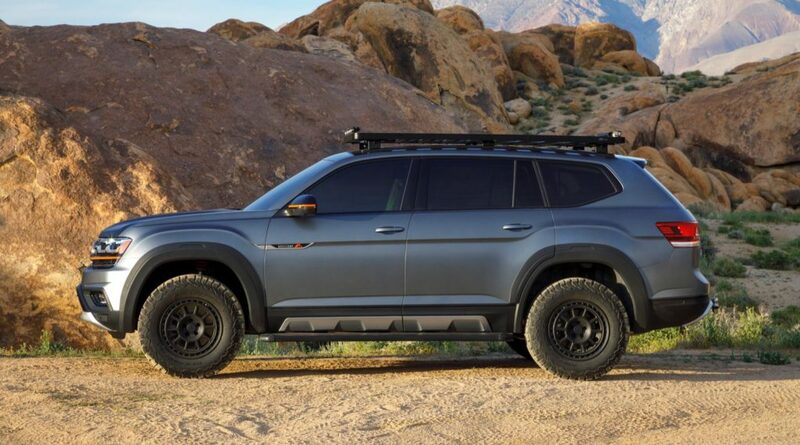 The Atlas Basecamp concept also rides on 17-inch fifteen52 Traverse MX Concept wheels. 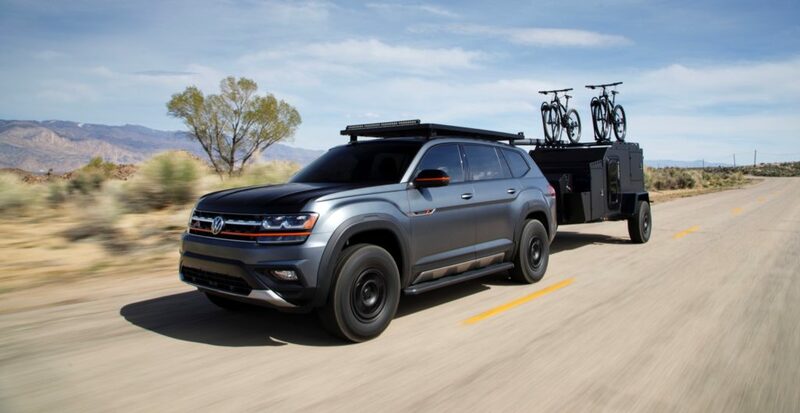 The VW Atlas Basecamp concept will debut next week at the New York Auto Show.